St Martin-in-the-Fields is an English Anglican church at the north-east corner of Trafalgar Square in the City of Westminster, London. It is dedicated to Saint Martin of Tours and was built in 1721. St Martin-in-the-Fields nowadays also has an art gallery, concert hall and café/restaurant in the crypt. 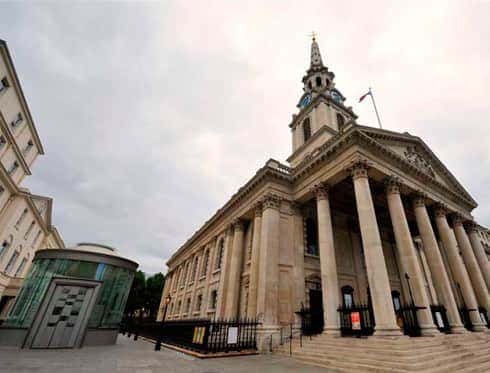 The church also lends its name to a chamber orchestra well-known across the globe, the prestigious Academy of St Martin-in-the-Fields, with its long tradition of playing classical concerts.